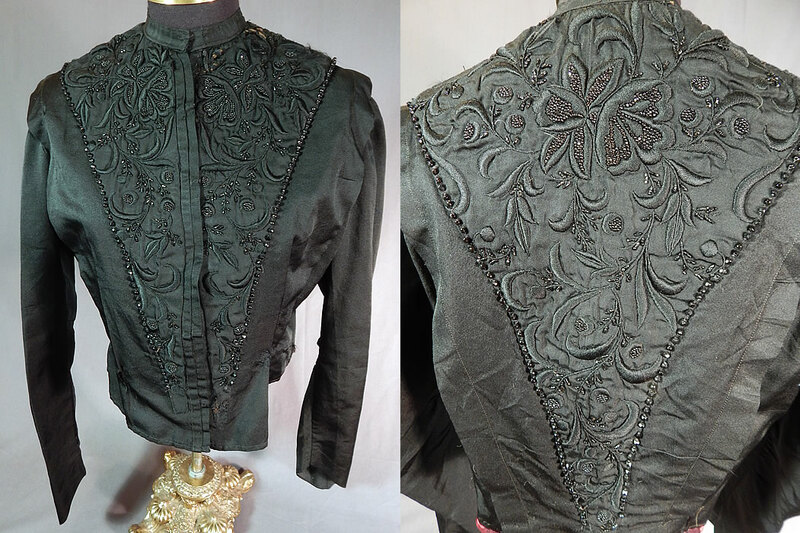 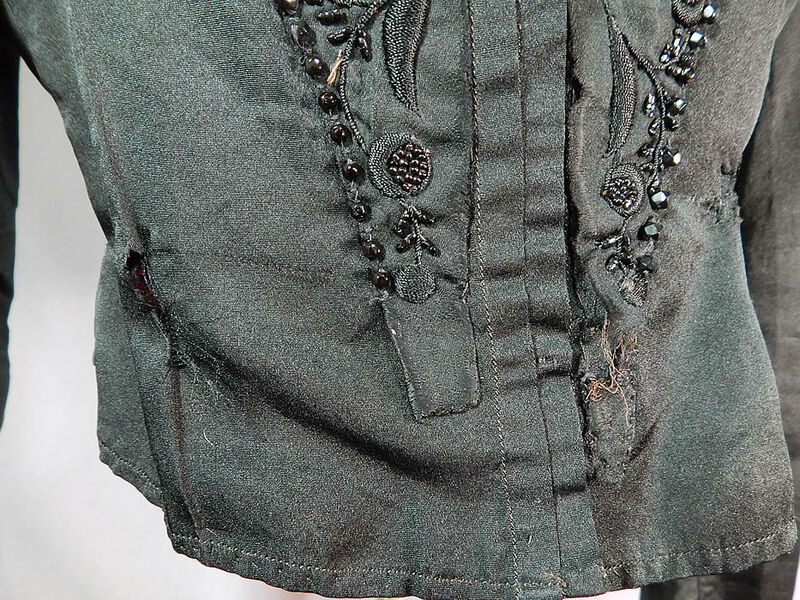 This antique Victorian era black silk embroidered jet beaded bodice coat jacket dates from 1900. 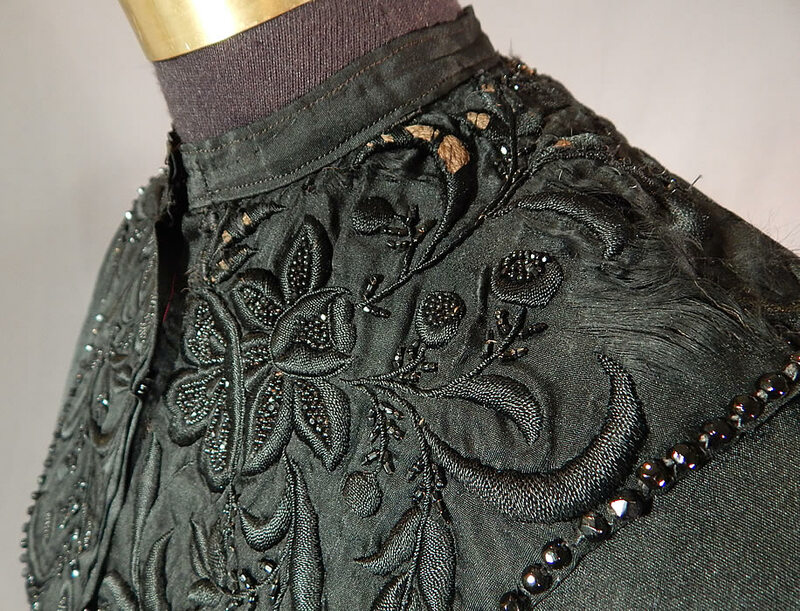 It is made of a black silk fabric with raised padded satin stitch hand embroidery work and jet beading accents done in decorative floral designs. 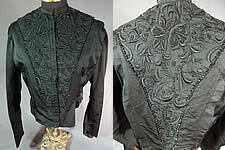 This beautiful black beaded bodice coat jacket has a fitted tailored style, with the embroidered bead work done along the front and back V panels, has long sleeves, a band collar, hook closure down the front and is fully lined in a red and black floral pattern iridescent silk damask weave fabric inside. 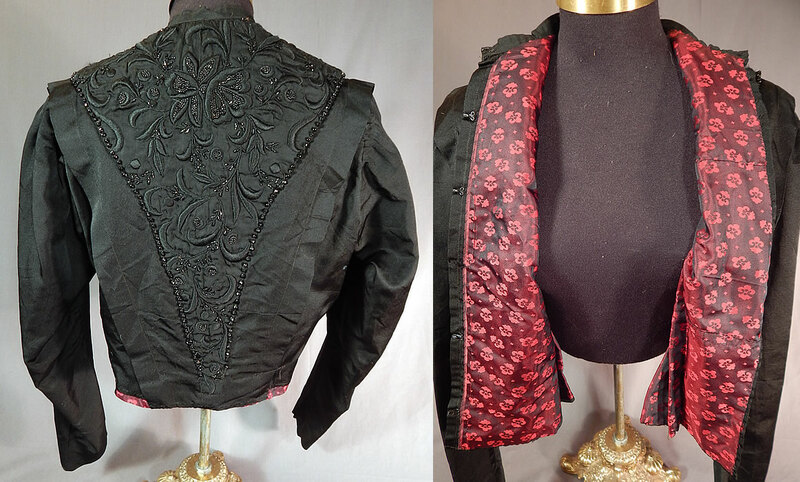 The top measures 19 inches long, with a 38 inch bust, 30 inch waist, 23 inch long sleeve and 14 inch back. 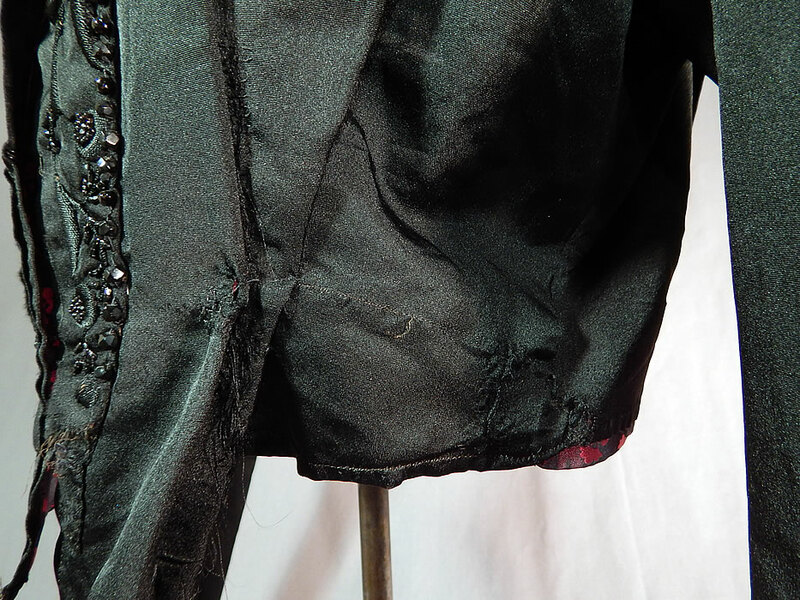 It is in fair as-is condition, with some frayed, mended repairs on the bottom front and some fraying along one shoulder (see close-ups). 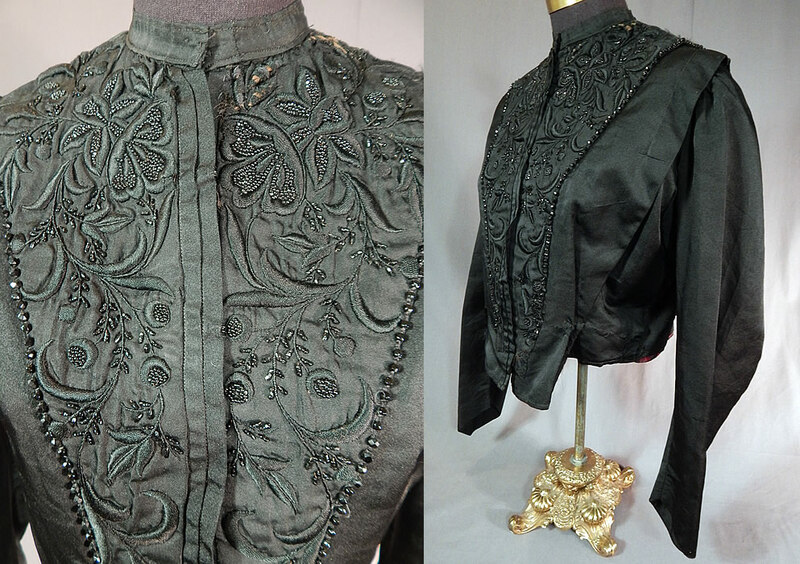 This is truly a wonderful piece of antique Victoriana mourning wearable art!